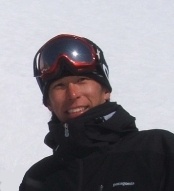 NGSA has been running by one instructor, Toshi Sakamoto, since 2006. Lessons at NGSA is "Simple explanation & relax skiing". ISIA certified instructor will teach you the essence of skiing. Lessons are, especially, garnering immense praise from beginners & novice skiers. ・1lesson will be 2hour-lesson. Private lesson only. These are some comments from our guests. Please check these out for your consideration. And many thanks to all who gave us these feedback. These comments encourage a instructor a lot and very helpful to improve our services. The instructor Toshi was very patient and spoke good simple English. The lesson was easy to understand and tailor to my needs. The instructor could easily pinpoint my problems in skiing so that I could correct them very quickly. As a first-timer in skiing, I had already developed the basic skills within 3 days (approx. 4 hour lesson) and been able to go to most of the green runs in Niseko. I think this result was amazing. I look forward to going to Hokkaido again and improve my parellel skiing with NGSA. We're lucky to have Toshi as our instructor. He was good at pointing out our problems one by one. He gave us encouragement when we could meet the standard. When we had question, he was eager to explain and demonstrate to us how to improve. He was also willing to accommodate our plan (e.g. we switched to another resort on the last day). In the end, the three of us managed to achieve our target (i.e. do parallel turn). It was also very nice of Toshi to ask us whether we wanted to do sth more aggressive or relaxed as the lesson moved on. He is customer-oriented and professional. And I could see his enthusiasm in teaching skiing and making our lesson both fruitful and enjoyable. Lessons were easy to follow due to our instructor's (Toshi's) fluency in English. As I am not a very confident skier and also suffer from mild vertigo, it helped that our instructor was very patient with me, and made it a point to select terrain within my comfort zone at the outset to boost my confidence before pushing me on to more challenging runs. He was also very encouraging during lessons and I appreciated that. I really enjoyed the lessons. It was totally fun, and not at all intimidating or stressful. It looks like Niseko is going to be an annual pilgrimage for me! And I shall certainly sign up for more lessons the next time. Thanks for a great ski holiday. Toshi was good at explaining what I need to do to make my skiing more enjoyable and relaxed. I felt very good after the lesson. Unfortunately, the wind on Monday (3/5) was terrible, and I'm afraid my skiing was mostly "survival level!" However, I seemed to be able to remember most everything that Toshi taught me somehow, even though I could not practice in a relaxed manner on that day. I will ski again in 2 weeks and I am sure I can remember what Toshi taught me because he explained it in an easy-to-grasp way. And I had a very nice time that day! Toshi is a very good instructor. As a beginner, after the fist hour lesson, I was able to ski alone and catch up with my friends on the next day lesson. Following his path, I felt safe and relax even on steeper slopes. We enjoyed the ski lessons and had fun. We have taken a few ski lessons before with other instructors (both with Japanese and English as their home language) but our skills were still like first-timers without much improvement. We could do only simple snowplough turns and ski on very gentle slopes before we took the lessons from NGSA. After reading NGSA's website about how important it is to learn from a professional ski instructor who is able to communicate in a common language and most importantly how to teach skiing, we decided to give NGSA a try. After 2 lessons, we were able to identify what we had done wrong in the past and picked up some basic tips that we missed out from our previous instructors. We were able to execute parallel turns after the first 2 lessons and be able to control our speed in steeper slopes more efficiently. After that we decided to have 2 more lessons to further improve our skills as well as to gain the necessary confidence in skiing from the higher part of the mountain. Now we have confidence to ski the green runs from the higher part of the mountain instead of only the family run at the bottom which we usually stuck for most of our holiday. Communication is not a problem as English from the instructor is simple and easy to understand. He will explain the important points of each movement and skill, followed by a demonstration, and then we just follow his path and movement. We feel the instructor really cares about how we are progressing instead of just delivering the lesson. If you want to learn skiing or want to improve your skills, NGSA is highly recommended. Toshi was a great coach who has explained the skiing concepts to me in easy to understand manner and fluent English. He has spotted my problem areas quickly and have immediate suggestions for me on how to improve on it. I was able to improve my skills quite significantly over 3 lessons with him, which is definitelynoticeable when going on the steeper runs and in a less tiring manner. I would certainly recommend him for anyone looking for quick results from skiing lesons inNiseko. Thanks for making my ski trip an enjoyable experience! Lessons were productive and I received good technical instruction from Toshi. I will definitely look up NGSA again if I return to Niseko.